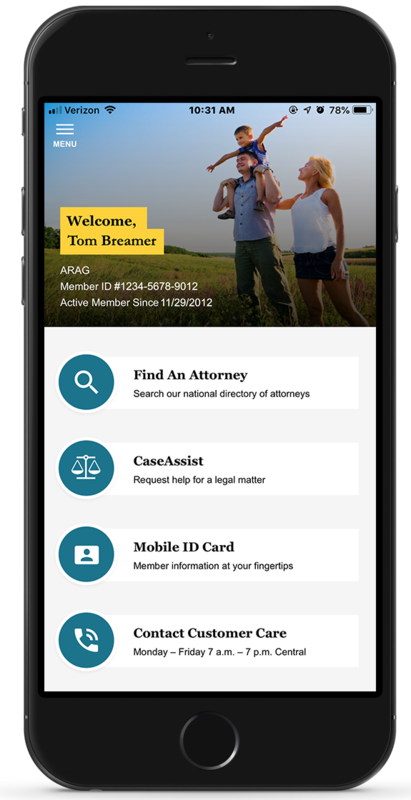 The ARAG® Legal app makes it easy for plan members to get legal help wherever and whenever they need it. Find an Attorney: Search by location or area of law and get a list of ARAG network attorneys for help with your legal issue. 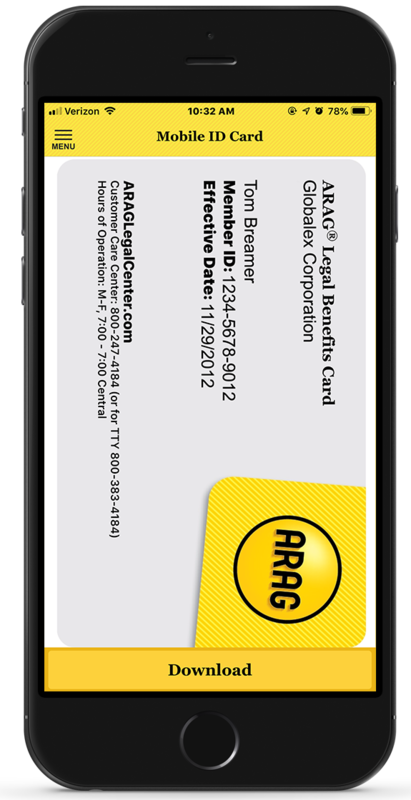 Mobile ID Card: Have your ARAG legal insurance policy information at your fingertips – no more digging through your wallet or purse to find your member identification number. 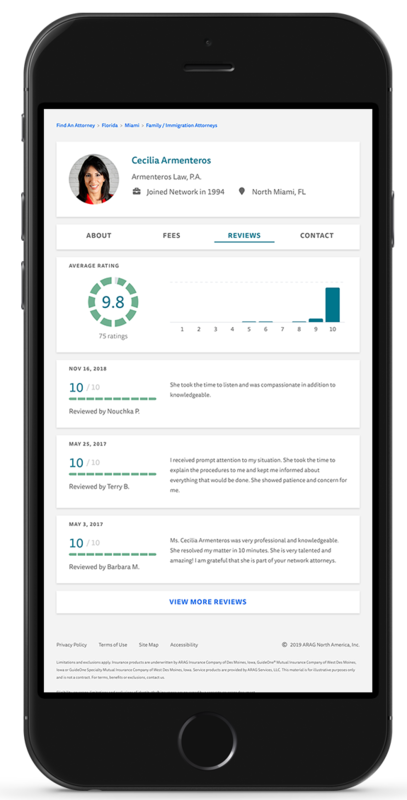 Get Legal Help on the Go: Instantly confirm coverage and receive a list of network attorneys to help with your will or traffic ticket case. Contact ARAG: Call or email an ARAG Customer Care specialist with claim or coverage questions.